Scientists at the MDI Biological Laboratory and the University of Maine have discovered that genetic material in the cell that was previously thought to be “junk” because of its apparent lack of function likely plays a part in regulating genetic circuits responsible for regeneration in highly regenerative animals. The answer could one day lead to the development of drugs to trigger humans’ dormant pathways for regeneration. Like most other mammals, the capacity for regeneration in adult humans is limited. The paper describing the scientists’ findings was published in a recent issue of npj Regenerative Medicine. In particular, the scientists looked at the role of noncoding RNAs, or RNAs that were formerly considered “junk” because they do not make proteins, in the early stages of heart regeneration in the zebrafish, a common aquarium fish that is one of nature’s champions of regeneration. The zebrafish, a common aquarium fish, is one of nature’s champions of regeneration. 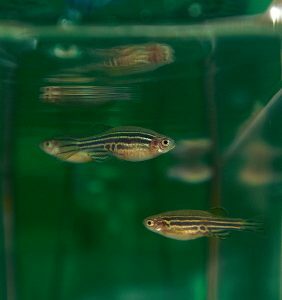 Scientists Viravuth P. Yin, Ph.D., of the MDI Biological Laboratory and Benjamin L. King, Ph.D., of the University of Maine discovered genetic material in the cell that likely plays a part in regulating genetic circuits responsible for regeneration in highly regenerative animals by studying the early stages of heart regeneration in the zebrafish. The discoveries of Yin and King — as well as other recent advances in the field of regenerative biology — have been enabled by the introduction of sophisticated genomic tools that scientists can use to identify the networks of genes responsible for orchestrating the complex process of regeneration in highly regenerative animals. Applying these tools, the authors defined a comprehensive regeneration gene expression atlas for zebrafish heart regeneration and anchored the data as a point of reference for comparison with other models. Using computational analysis, they identified shared and unique patterns of gene expression in genomic data from various species. Yin and King studied the roles of two types of noncoding RNAs — microRNAs and long noncoding RNAs — in zebrafish heart regeneration. The next step is to conduct studies of a select group of long noncoding RNAs in vertebrates with varying capacities for regeneration to validate the functions of the target gene networks that the scientists have identified and to test the extent to which these long noncoding RNAs are responsible for regulating these networks. The paper also introduced the RegenDbase, a new database that allows scientists to compare and contrast gene regulatory pathways within and across tissues and research models, with a focus on noncoding RNAs. The database was created using a new dataset for heart regeneration in zebrafish created at the MDI Biological Laboratory, as well as existing data on multiple types of injured tissues from various species. The utility of the database, which is available to the public, is expected to grow as more data is added, including from human tissues. Yin compares the database to the Rosetta Stone, which in 1799 allowed linguists to decipher Egyptian hieroglyphs because the information inscribed on it was also presented in ancient Greek, a known language. Similarly, the new database is helping scientists translate the genetic code for regeneration from one species to another. The RegenDbase was created by the MDI Biological Laboratory under its Center of Biomedical Research Excellence (COBRE) program grant award. The institution was designated as a center of excellence in research on the comparative biology of tissue repair, regeneration and aging in 2013, a designation that was recently renewed. The research was supported by COBRE grant P20 GM104318 and by Institutional Development Award (IDeA) grant P20 GM103423 from the National Institute of General Medical Sciences. 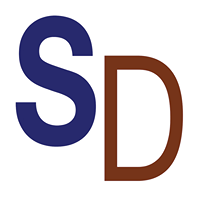 Additional support was provided to Yin by a Scott R. MacKenzie Foundation award (17003) and an American Heart Association Scientist Development Grant (11SDG7210045). Materials provided by Mount Desert Island Biological Laboratory. Note: Content may be edited for style and length.